At approximately 12:20pm, local time, Elder Ted N. C. Wilson was re-elected president of the Seventh-day Adventist Church to applause from the floor of the Alamodome in San Antonio, Texas. Twenty minutes earlier, the General Conference Nominating Committee brought his name to delegates at the end of the morning business meeting. Immediately, delegate Ray Hartwell from the North American Division asked that the name be referred back to committee. Session Chair, Vice-president Pardon Mwansa pushed back, but Hartwell was insistent, saying that according to the constitution and bylaws, the chair should honor such recommendations to refer. At length, Hartwell was able to share his concerns with the secretary (Dr. Leslie Pollard) and chair (Homer Trecartin) of the committee, but not the full committee, and Mwansa declared a suspension of the meeting. Organ music played during the interlude. Soon Trecartin emerged and declared that consideration had been given to the concerns, and the motion to accept the name Ted Wilson remained on the floor. Delegates streamed to microphones to speak to the motion. One asked that the vote be taken by secret ballot. Mwansa took the remark as a comment (rather than as a point of order as the delegate intended), and moved on. Sadrail Saint-Ulysse from the NAD referred the name back to committee again. Mwansa again indicated his hesitancy to have the name referred back and forth between committee and delegates, but after some wrangling, Saint-Ulysse was also allowed to address the committee chair and secretary. More organ music as the meeting was again suspended. Again Trecartin said that after considering the concerns, the motion remained on the floor. Neil Nedley from the North American Division said that the only reason to send a name back was "biblical disqualification." Elizabeth Talbot came to the mic and made a motion that the vote be held by electronic secret voting. She noted that the devices had been tested again, and had shown promise (the electronic voting devices have proven persistently glitchy). Mwansa demurred, saying that the electronic devices had been sufficiently unreliable to prevent their being used. He initially declined to entertain the motion. Talbot persisted, calling the vote one "of great magnitude." After some back and forth, she moved that the vote be taken by paper secret ballot. The motion was put to a vote and was roundly defeated, to much applause. Mwansa asked the delegates and audience to contain their emotions. Larry Boggess, NAD, spoke to the motion saying "it seems we need prayer." He spoke for a moment more on the need for prayer, then called question on the previous question (presumably meaning to call question on the previous motion). Mwansa clarified that this would effectively end conversation on the nomination and bring the vote. Delegates voted with their yellow cards to close discussion. There was no prayer. 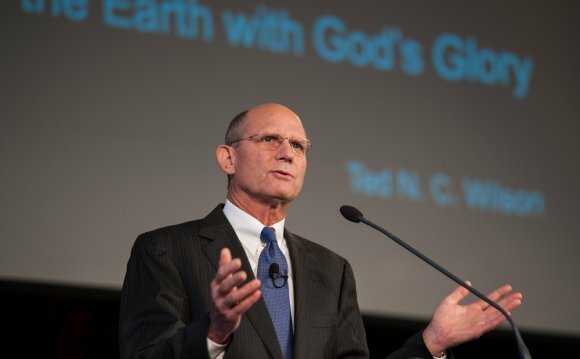 The vote on the name of Ted Wilson for General Conference president followed. Delegates voted by a very wide margin in favor of Elder Wilson. When the chair said the motion carried, the audience applauded.